Hollister Premier 1 Piece Drain Pouch with Filter & LOCK-N-ROLL has an integrated filter with the LOCK-N-ROll closure system. 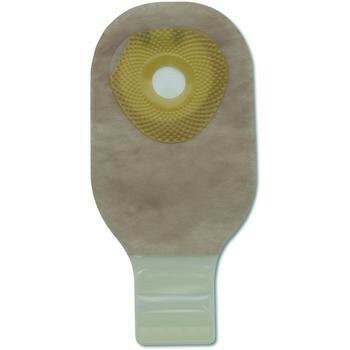 This Premier Ostomy Pouch has a transparent odor barrier that is rustle free. Equipped with a flat SoftFlex skin barrier with comfort wear panels, the Premier Drainable Ostomy Pouch is comfortable to wear.